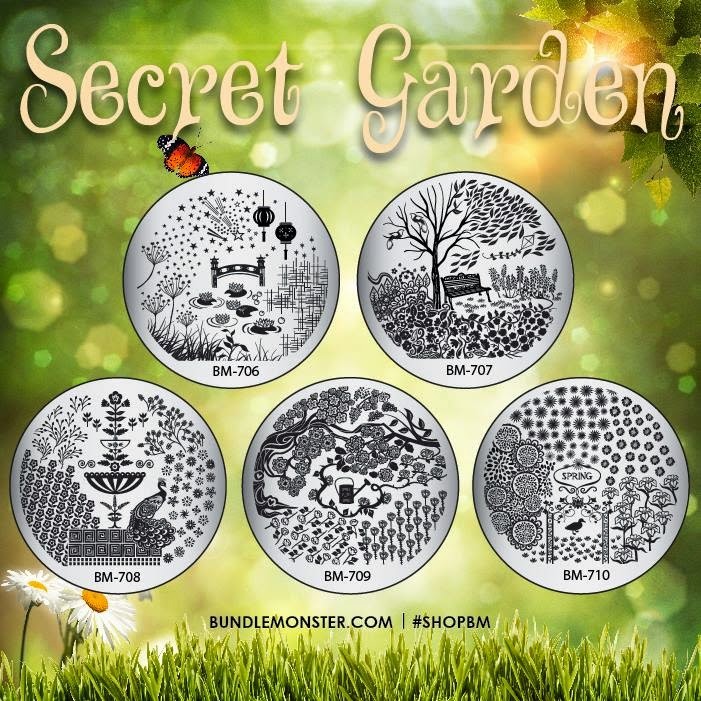 Lacquer Lockdown: Hot Off The Stamping Press: Bundle Monster Secret Garden Nail Art Stamping Plate Collection! 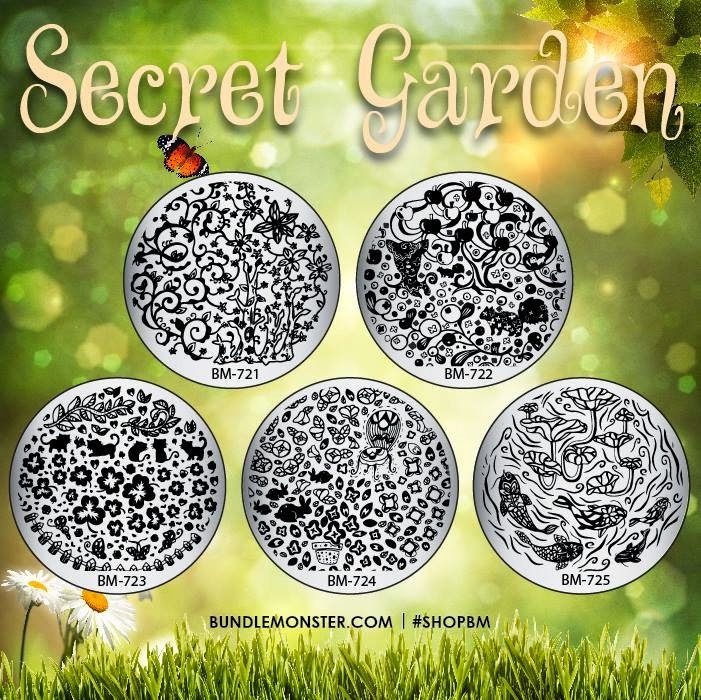 Hot Off The Stamping Press: Bundle Monster Secret Garden Nail Art Stamping Plate Collection! 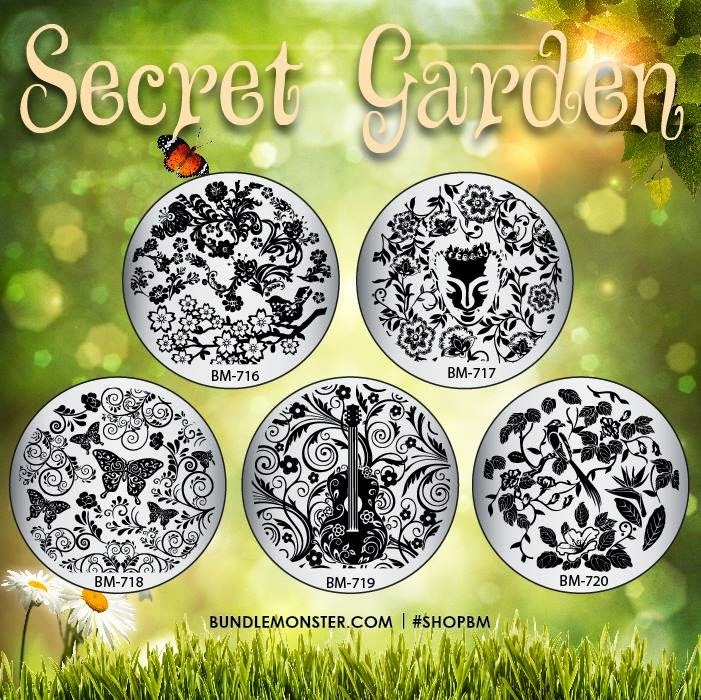 I'm running behind on plate posts since I've been busy dealing with a few side projects ;) In any event I wanted to let you guys know about the new Secret Garden Collection that just released from Bundle Monster before their sale finished. I'm sure lots of you ladies already know about these since Bundle Monster has been teasing us with hints about them since the end of January but here they are at last available for purchase. I'm also pretty pleased with the spring theme of these plates since I'm so over the winter. Btw I find the images on 714 are very fresh and novel here. Love the cello with floral motifs here. One thing about these plates though is while these images are beautiful and on trend they are a little typical for landscape plates - i.e. florals, grass, birds, vines, roses... I'd like to see platemakers stretch a little bit more if they are are going to continue making this style of plates. But I still really love these and Bundle Monster once again has the most reasonable pricing compared to other companies.